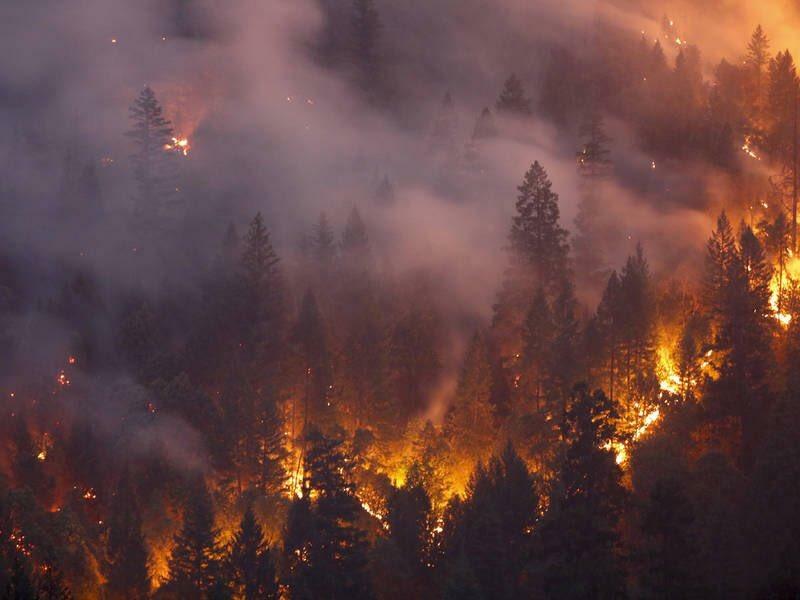 California's Shasta County is dealing with the 6th-worst fire in state history, which has killed 6 people and burned over 130,000 acres. 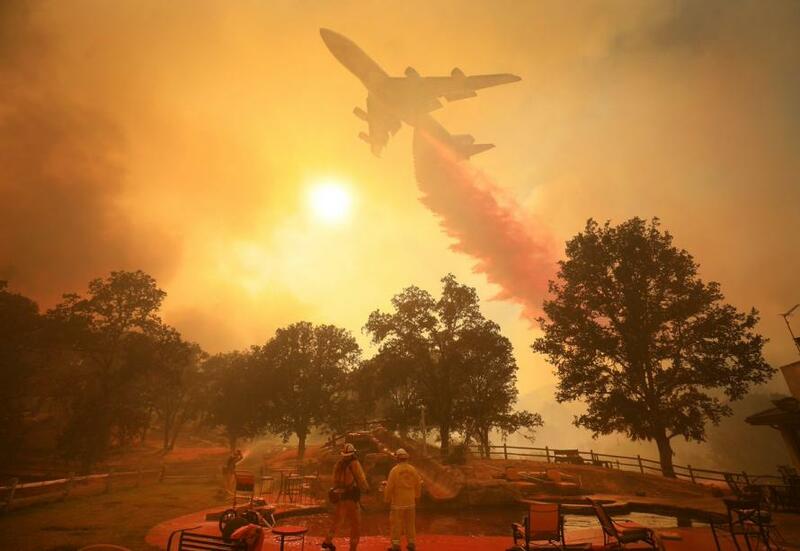 The Carr fire, which is just 39% contained and being fought by oiver 4,300 fire personnel, has destroyed over 1,500 structures and is threatening another 1,300. 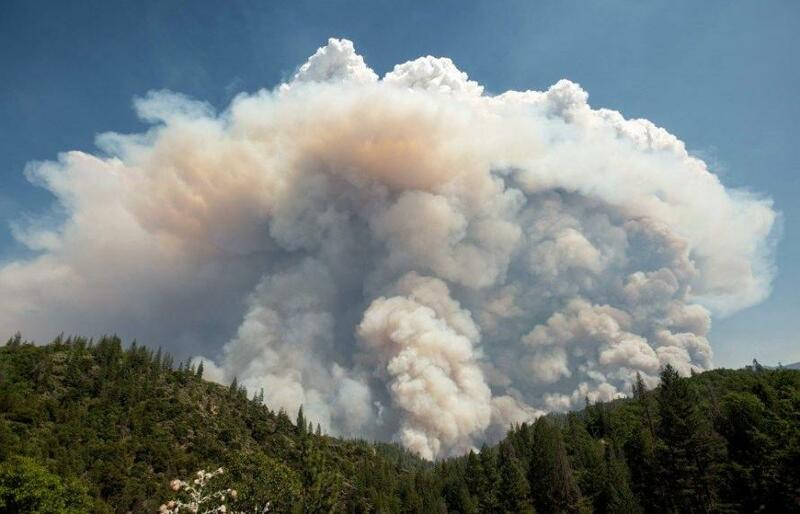 Thousands of residents have been evacuated, while Yosemite Valley gave people until Noon on Friday to leave the area. Large fires such as the Carr can produce their own unique weather paterns - and this was no exception. 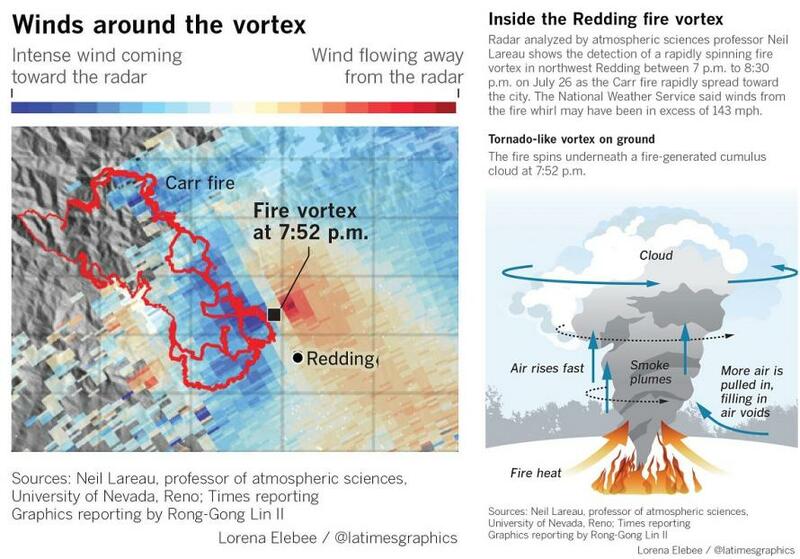 On July 26, the inferno unleashed a "fire tornado" that was so strong it uprooted trees and stripped away their bark. The National Weather Service on Thursday said that the vortex reached in excess of 143 MPH - equivalent to an EF-3 on the enhanced Fujita tornado scale.